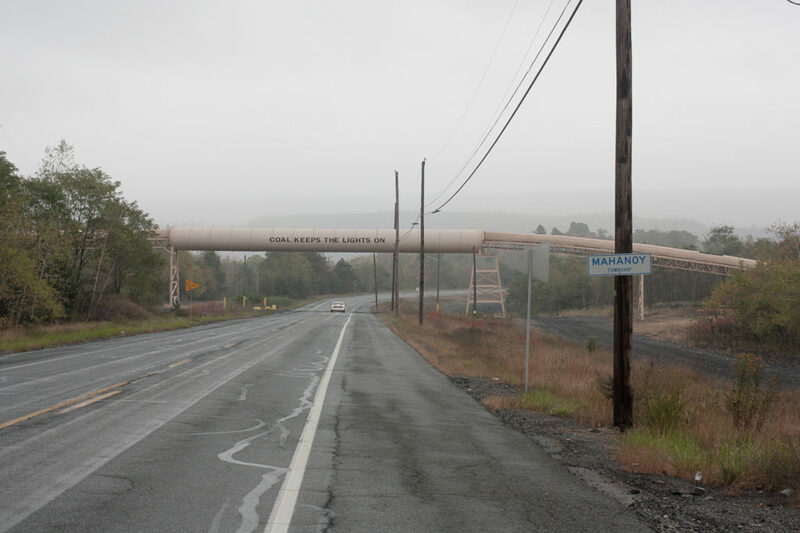 A conveyor belt crosses Highway 54 outside Mahanoy City. The lettering was added in 2013. Blue Mountain from bridge over rail yard, Jim Thorpe.